The Feast of the Most Holy Name of Mary is a feast day celebrated since 1684. In that year Pope Innocent XI added it to the Church calendar to commemorate the military victory of 1683, when the Turkish army was vanquished before the gates of Vienna, and Europe was delivered from the Muslim scourge. After the battle the victorious Polish king, Jan Sobieski, improved on Julius Caesar’s famous boast. Announced Sobieski, “‘Veni, vedi, Deus vicit.’ (I came, I saw, God conquered). 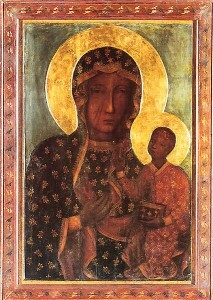 Before the battle, Sobieski had called on the protection of Our Lady of Czestochowa (see icon to left). It was the largest cavalry charge in history; the Poles smashed the Ottoman lines and forced the Turks to lift the siege of the city. 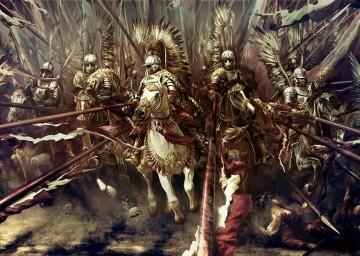 At the core of the charge were the famed Winged Hussars, who “appeared like angels coming down from heaven” to smash the foe and save Christendom. Charge of the Polish winged hussars.